At first, the paths are ranked based on the total slack of each path. In this ranking the expected activity durations are used. This results in the ranking as shown in Table 11.1. It should be noted that the lists of activities, as shown in this table, do not reflect the order in which they are related to each other. 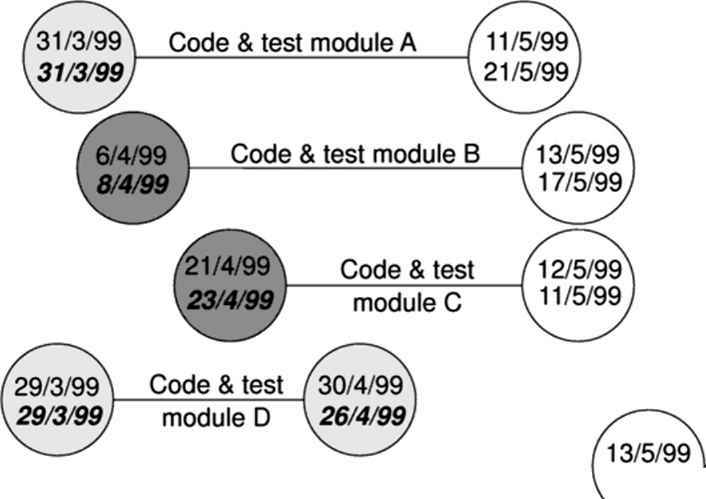 The paths are labelled as path A, B, C, D, E, and F in order to identify them when we compare the outcomes of this ranking with the outcomes of the rank ing based on risk. Traditionally, the path with no slack (path A) is identified as The Critical Path.